Scroll through your favorite presets...handsfree! Don't feel like carrying around a full-sized footcontroller? The Line 6 FBV2 lets you scroll through the first bank of four presets and is small and light enough to fit in your gig bag. With its ultra-reliable switches and aluminum case, the FBV2 can take all the abuse you can throw at it. 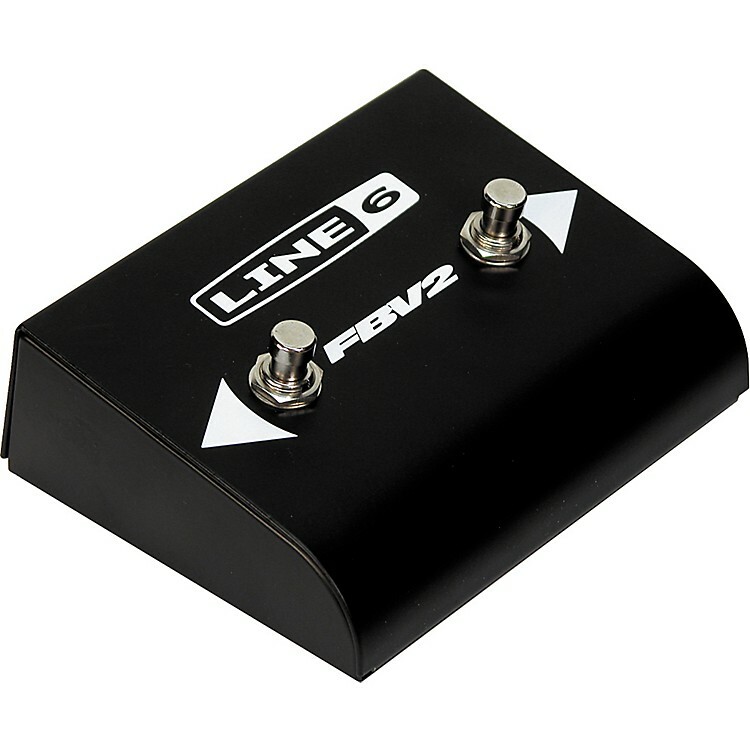 **FBV2 is only compatible with POD 2.0 units with pedal jacks labeled "FBV Pedal." It is not compatible with older units which have pedal jacks labeled simply "Pedal." Click or call to get your foot in the act now!